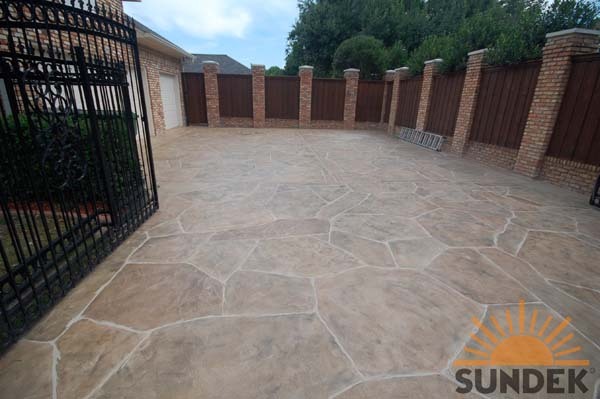 How it’s done: TUSCAN texture overlay system is installed using hand applied techniques from qualified Sundek of San Antonio craftsmen. 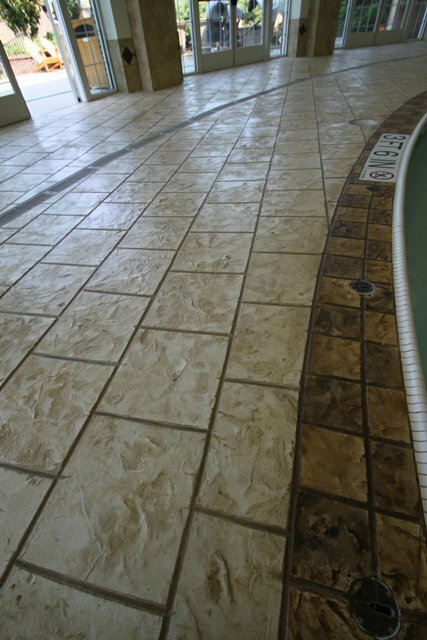 This one of a kind finish is created by adding swirls, voids and gaps in the custom texture. 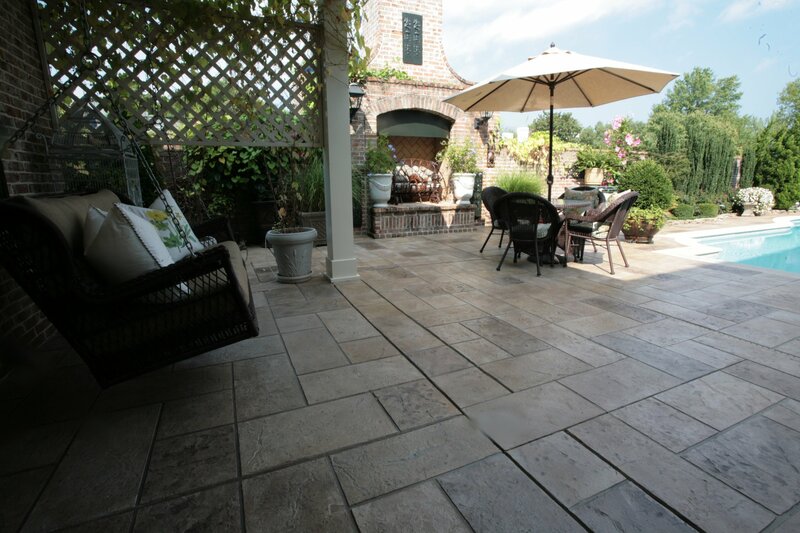 Because of the thin application, TUSCAN artisans can utilize their training and creative talents to create a look of self expression and mimic natural stone, travertine and marble. 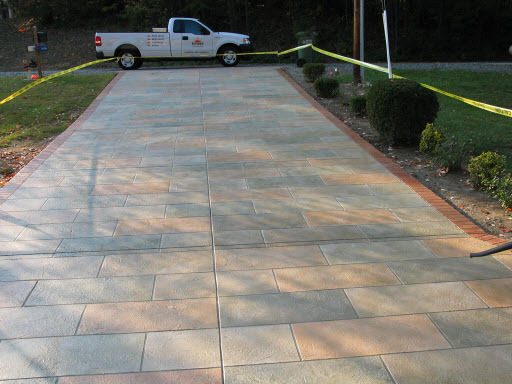 The use of Sundek coloration systems applied on the surface and cut and scored patterns finalize the complete system’s look and feel.